Next Shimama unplugged will feature the extraordinary koto player-composer-improvisor Michiyo Yagi. This is a unique opportunity to experience Yagi’s mastery up close and to expand any understanding you may have had of this traditional Japanese instrument. The performance will be introduced by a short talk (in Japanese) about the koto by Yagi herself. We welcome you all to come and join us for a beautiful musical Saturday afternoon. ＊Capacity is limited and reservation essential. Please make a reservation via salon@shima-uma.co.jp with the title「Shimauma unplugged」and the following information > your full name, number of participants and contact number. Thank You! ＊ Please arrive on time (> 15:30) as the ringing of the inter-phone to enter may be a nuisance to the performance. Michiyo Yagi studied the traditional Japanese transverse harp known as the koto under the late Tadao Sawai and Kazue Sawai, and graduated from the NHK Professional Training School for Traditional Musicians. During her subsequent tenure as Visiting Professor of Music at Wesleyan University in Connecticut, U.S.A. she premiered numerous modern compositions for koto and came under the influence of maverick American composers such as John Cage, Christian Wolff, Conlon Nancarrow, and John Zorn. Yagi’s debut CD Shizuku was produced by Zorn and released on his Tzadik label in 1999. 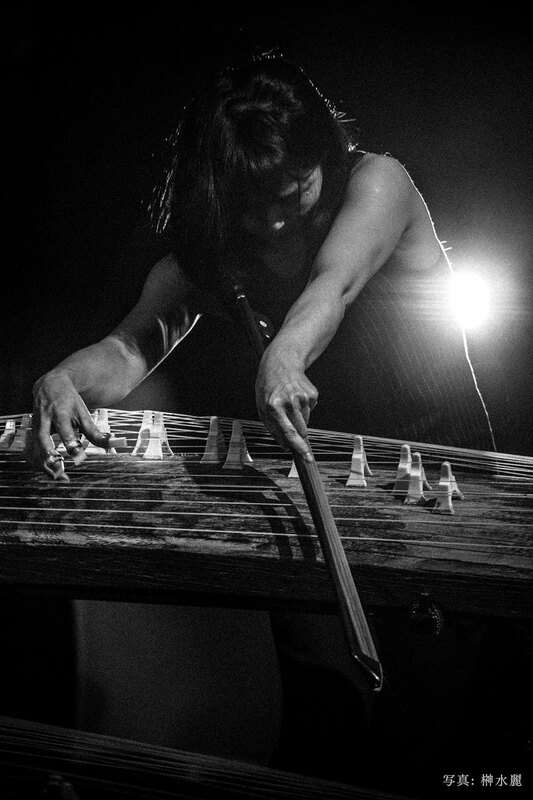 In 2001 she recorded Yural (BAJ/ewe) with her multi-koto ensemble Paulownia Crush — this group toured Russia under the auspices of the Japan Foundation in 2004. In 2005 Yagi released Seventeen (Zipangu), entirely performed on the giant 17-string bass koto. Live! at SuperDeluxe (Idiolect), a trio performance with Norwegians Ingebrigt Håker Flaten (contrabass) and Paal Nilssen-Love (drums), followed a year later. In 2008 Rikskonsertene, the national concert institute of Norway, sponsored a two-week tour by Yagi, Nilssen-Love, and German saxophonist Peter Brötzmann, a trio that has performed internationally since 2006 and released Head On (Idiolect, 2008) and Volda (Idiolect, 2010). Reflexions (Idiolect/Bomba), an album of duets with the experimental New York guitarist Elliott Sharp, was released in 2010. Yagi’s most recent CD releases are Ichi No Maki [Vol. 1] (Idiolect, 2014), credited to Dōjō, her “power duo” with Japanese jazz drummer Tamaya Honda and featuring guests Nils Peter Molvær (trumpet) and Paal Nilssen-Love; Soul Stream (PNL, 2015), a quartet session with Joe McPhee (pocket trumpet, saxophones), Lasse Marhaug (electronics) and Nilssen-Love; and Angular Mass (PNL, 2015), a trio with Marhaug and Nilssen-Love. A second Dōjō CD, an album of ambient music co-produced by the Norwegian guitarist Eivind Aarset, and a trio recording with Giovanni Di Domenico (keyboards) and Chris Corsano (drums) are forthcoming. A CD of original compositions featuring Yagi’s vocals and a contemporary classical recording of written and commissioned music are also in development. An eclectic performer who continually challenges conventions, Yagi has played at the Moers, Kongsberg Jazz, Punkt, Újbuda Jazz, Musique Actuel Victoriaville, Archipel, Bang on a Can, Tokyo Summer, Vision, Instal, Jazztopad, Sengawa Jazz, Fuji Rock, and Music Unlimited festivals. Notable co-performers include Mark Dresser, Jim O’Rourke, Akira Sakata, Sidsel Endresen, Han Bennink, Alan Silva, Kazutoki Umezu, Raz Mesinai, Yoshihide Otomo, Ned Rothenberg, Knut Buen, Bugge Wesseltoft, Satoko Fujii, Joëlle Leandre, Håkon Kornstad, Tatsuya Yoshida (Ruins), Masahiko Sato, Thomas Strønen, Carl Stone, Billy Bang, Keiji Haino, Mats Gustafsson, Roger Turner, Gerry Hemingway, Mani Neumeier, and Sachiko M. Yagi’s koto has been featured in ex-Judy & Mary guitarist/singer Takuya’s band, and she has recorded with neo-prog rocker Steven Wilson (Porcupine Tree), pop idol Ayumi Hamasaki, and singer-songwriter Angela Aki. 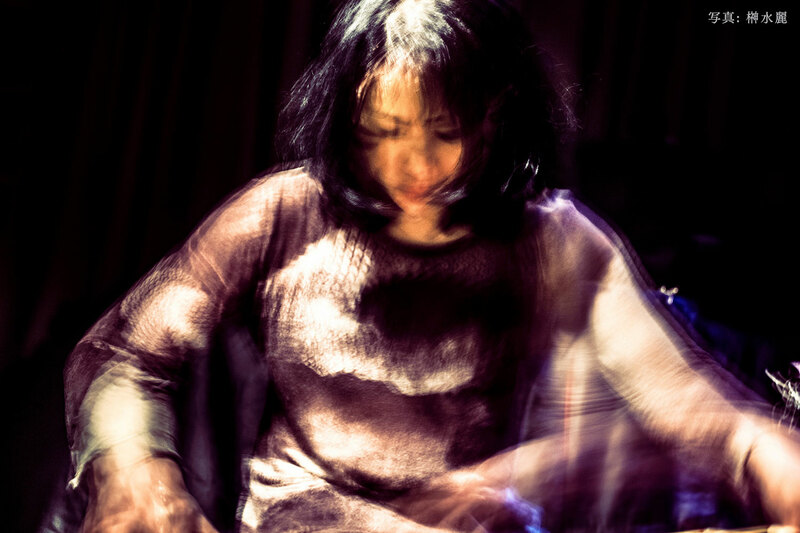 In addition to leading the Michiyo Yagi Double Trio and the Michiyo Yagi Trio and performing solo concerts — all with an emphasis on her original compositions, extended techniques, and unique vocals based on the traditional jiuta style — she continues to be active as the leading improviser on her chosen instrument.